Since moving to Mississippi ten years ago, I have been continually struck by the state’s rich but complicated history. One of the most overused quotes down here is from William Faulkner: “the past isn’t dead, it isn’t even past.” Indeed, my state’s past still haunts and inspires Mississippians today. For many southern whites, the past evokes tangled feelings of both pride and shame. They wrestle with the question of whether they can celebrate the bravery of Confederate ancestors while acknowledging the central role of slavery in the Civil War. The imposition of Jim Crow after Reconstruction and the violence directed against southern blacks during the Civil Rights era remain difficult for many southern whites to face, many of whom insist that this ugly history is best forgotten. Yet the wounds of this dark past are not yet fully healed, and black and white southerners still struggle with how to move forward as a unified society. Figuring out how Jews fit into this southern story has been a central focus of my career as a historian. Recently, a visit to Columbus, Georgia, got me thinking about how Jews have interacted with the South’s conflicted history. Columbus is home to an old Jewish community that goes back before the Civil War. 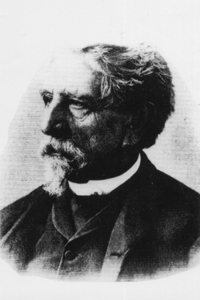 One of its early Jewish residents was Raphael Moses, a lawyer who moved to Columbus in 1849. Wanting to join the ranks of southern planters, Moses bought a plantation on a hill outside the city, which he named Esquiline. By 1850, Moses already owned sixteen slaves, five of whom were children. Moses focused his plantation on growing peaches, and he became the first planter to sell the fruit outside of the state. By 1860, Moses had 47 slaves working on his plantation. During the Civil War, Moses joined the Confederate army, but was too old to serve in combat. Instead, he became Confederate Commissary of Georgia, responsible for supplying and feeding 54,000 Confederate troops. He was close with General Robert E. Lee, and was with him at the Battle of Gettysburg. Three of Moses’ sons fought for the South; one died in the war. After emancipation, Moses was shocked when all but one of his slaves decided to leave Esquiline once they gained their freedom. Moses, like other slave owners, believed in the delusional and paternalistic notion that their slaves greatly appreciated their masters for caring for them over the years. 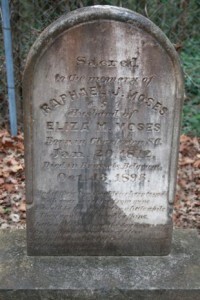 Moses became a political leader after the war, serving in the state legislature during Reconstruction. When a political opponent raised his Jewishness as a disqualifying factor, Moses wrote a famous letter asserting his Jewish pride: “I feel it an honor to be of a race whom persecution cannot crush, whom prejudice has in vain endeavored to subdue.” The irony of a former slave owner decrying persecution and prejudice was apparently lost on Moses. Stuart with members of the Columbus Jewish community at Esquiline Cemetery. When I was in Columbus, I was very excited to learn that the Esquiline Cemetery, containing the graves of Moses and his family, was still there. The plantation is long gone. The grand home owned by Moses burned down in the early 20th century. Eventually, the family sold off the 1000-acre plantation, and now the cemetery is surrounded by a housing subdivision. Parking on a cul-de-sac filled with modest homes, my local guides led me through a clearing in the adjacent woods. After a short distance, we came upon the small cemetery, ringed by a chain-linked fence topped with barbed wire. Though many of the stones have been broken over the years, a heavy sense of history still infuses this small plot of ground. Columbus Jews today are rightfully proud of Moses. He was one of the city’s most prominent citizens, and his advancements in the storage and shipping of peaches helped make the fruit one of Georgia’s most lucrative crops. He ascended the social ranks of plantation owners, proving that his Jewishness was no barrier to entry. He is evidence that Jews were loyal southerners, and were fully integrated within southern life and culture. And yet, it’s hard to embrace Moses fully. 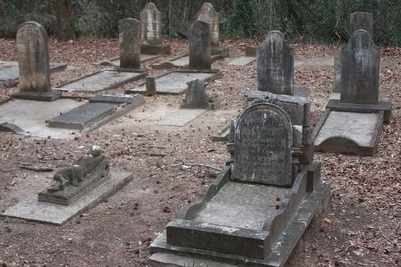 While the names of Moses and his ancestors are etched into stone in the Esquiline Cemetery and in history books, we don’t know the names of the slaves and their children who once called the plantation home. What were their lives like? How did they respond to the opportunities and challenges of freedom? These questions went through my head as I visited the graves at Esquiline. This ambivalence and uneasiness with the past echoes a larger tension that still permeates southern life today. 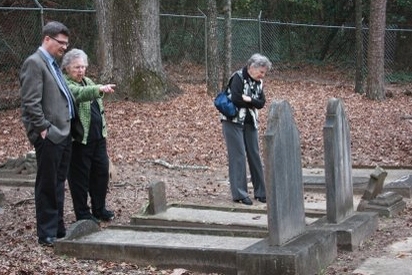 White southerners often have a complicated relationship with the region’s history. That southern Jews do as well is yet another indication of just how southern we are.